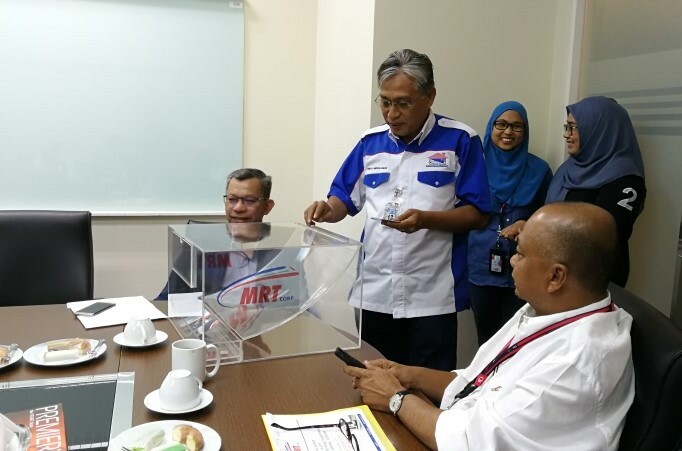 Mass Rapid Transit Corporation Sdn Bhd (MRT Corp) held its 16th balloting session to award subcontracts for the construction of the MRT Sungai Buloh-Serdang-Putrajaya (SSP) Line to Bumiputera contractors. 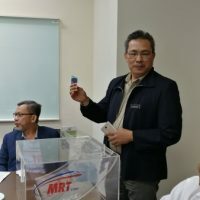 The ballot was held at MRT Corp’s Corporate Headquarters on 23 January 2019. 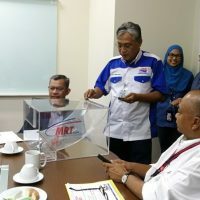 The four subcontracts were worth a total value of RM 5,025,282.91. The first subcontract, with a value of RM131,266.30, was awarded to Pakat IT Supplier for the supply, delivery and installation of balustrades. A subcontract for plastering and screeding works valued at RM536,455.90 was then awarded to Max Global Paint Resources. Another contract for the installation of parapet walls valued at RM1,755,050.00 was awarded to Astana Watan Sdn Bhd. Finally, wet trade works valued at RM2,602,510.71 was awarded to Tetris Sdn Bhd. 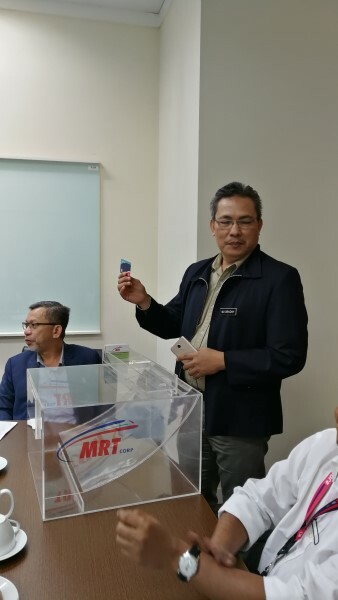 The balloting exercise was organised by MRT Corp’s Administration and Bumiputera Relations Department. 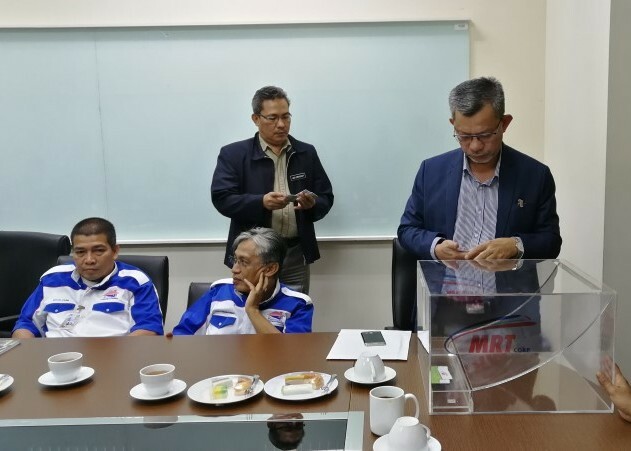 MRT Corp Administration and Bumiputera Relations General Manager Encik Zarif Zainul, Administration and Bumiputera Relations Senior Manager Encik Nizam Mahadi and Head of Procurement Encik Hasnul Alfian Harun represented MRT Corp at the event. 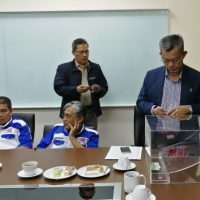 Also present were Persatuan Kontraktor Bumiputera Kelas ‘F’ Malaysia (PERKOBF Malaysia) Deputy President Encik Ismail Awang Ahmad, Ministry of Works Corporate Planning Division Secretary Encik Zureen Zubir, Bahagian Pembangunan Kontraktor dan Usahawan (BPKU) Encik Md Obaidah Md Dasuki and representatives from Perbadanan Usahawan Nasional Berhad (PUNB) and Malay Contractors Association of Malaysia (PKMM). The four successful contractors will now receive their letter of award for them to begin works as stipulated in their respective contracts. Prior to today’s awards, a total of 119 subcontractors worth a total of RM191 million have been awarded to date.